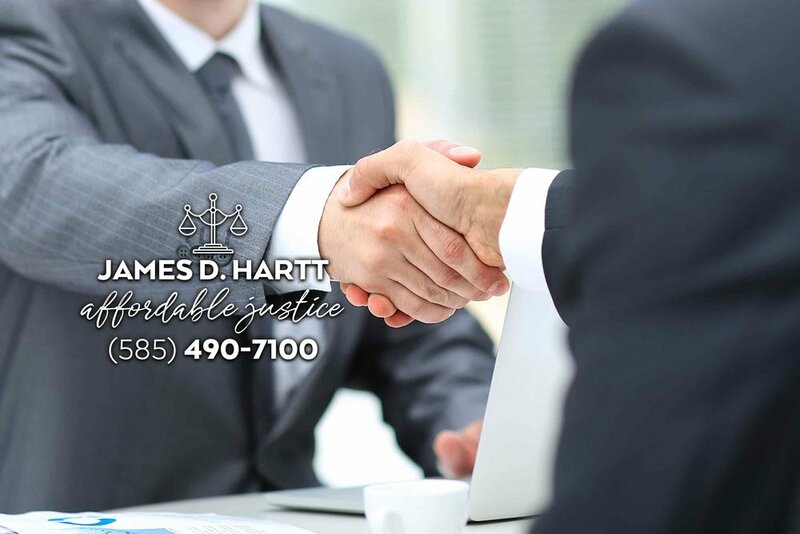 When you retain James D. Hartt, Attorney At Law, you will be charged a reasonable hourly rate or, in some instances, a reasonable flat fee. I will personally weigh the complexity of your legal matter, along with other important considerations to come up with a payment plan that works for you. Significantly, I will always pay close attention to your stated preferences with respect to billing matters. My motto: "Justice Can Be Affordable" is not just lip service; it reflects my deeply held belief that lawyers ought to have as their first priority, an interest in providing value to each of their clients. A client receives "value" when his/her attorney strives to achieve the best result possible for the client, given the client's circumstances, while charging the client only that amount which is minimally required to attempt to obtain the optimal result. Unfortunately, legal strategy often involves risk taking, and no lawyer can ever guarantee victory for any client. Litigation, for example, tends to be a particularly risky endeavor for clients. In the context of litigation, a client obtains "value" when his/her attorney advises "for or against" litigation after first weighing the merits of the client's claims or defenses against the strength of the opposing party's position, and then analyzing the level of risk that the client is willing to assume. By employing the methodology and billing philosophy just described, my clients can rest assured that each of their matters will be handled with due care and thoughtfulness, and that they will not be charged a penny more than what is reasonably necessary under the particular circumstances. I offer clients an affordable flat fee for most employment related cases as well as criminal matters. Flat fees limit the amount of legal fees a client will pay for a legal matter, and that reassurance allows the client to make an informed decision about whether to proceed with litigation and whether litigation is in the budget. © James D. Hartt, Esq. 2017–18. All rights reserved. All wrongs avenged. SIte design by Icon Branding & Design.